Gives me goosebumps when you think about these roads that meander through quiet places and disappear at the horizon line. Whispering for you to follow it. Wish I could… just start walking and see where it takes me. 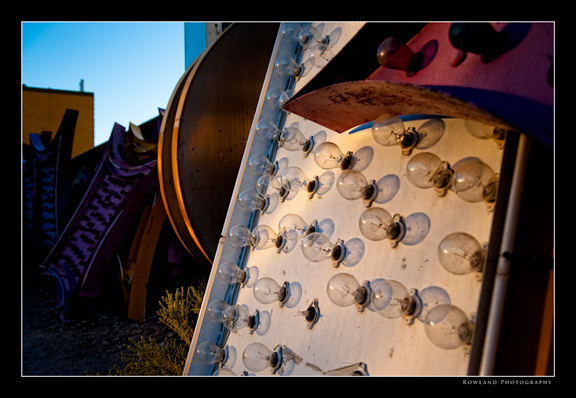 This shot was one of the last taken while photographing the Neon Boneyard in Las Vegas. 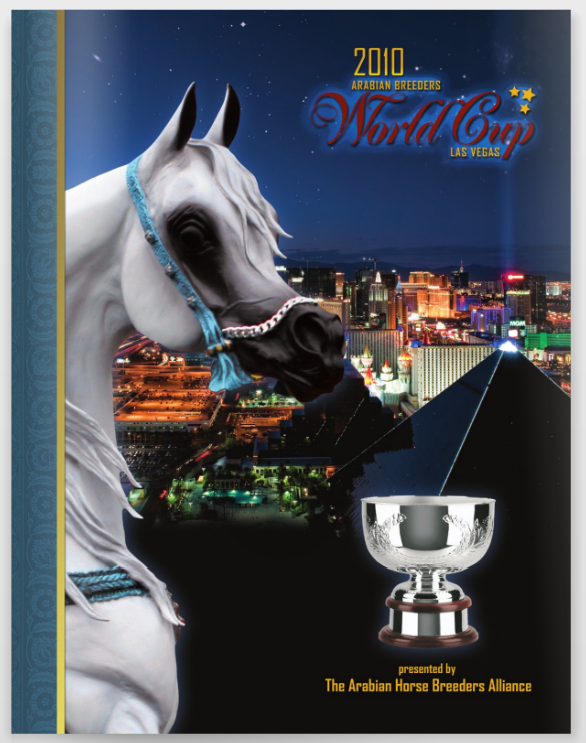 I had a great experience with the folks that run the Arabian Breeders World Cup which was held in Las Vegas this month. I was contacted a few weeks ago about licensing my image “Las Vegas at Dusk” for the show’s official program. Neat stuff! Here’s a peek at the cover and the image! 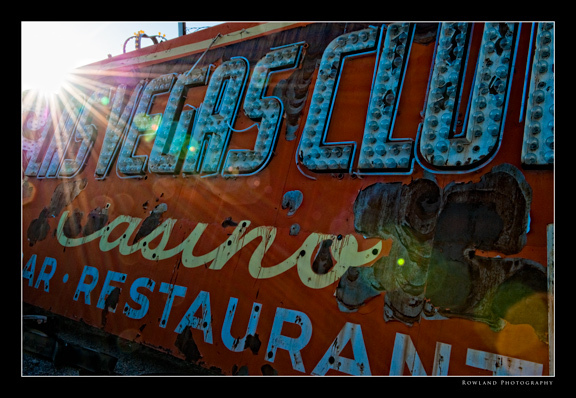 Pulled this one from one of the archives of shots I took while running around the Neon Boneyard in Las Vegas. I’ve blogged about this place before… amazing place where all the old signs from the casinos and hotels go to “heaven” I guess. They are stacked about a fenced in property for photographers and movie folk to come see (at a price of course). this was a quick snap of the Las Vegas club sign. It’s seen better days no doubt. As a photographer you continuously develop a list of places you want to go, set up, and shoot to your hearts content. Of course the payoff is when the destination exceeds your expectations. 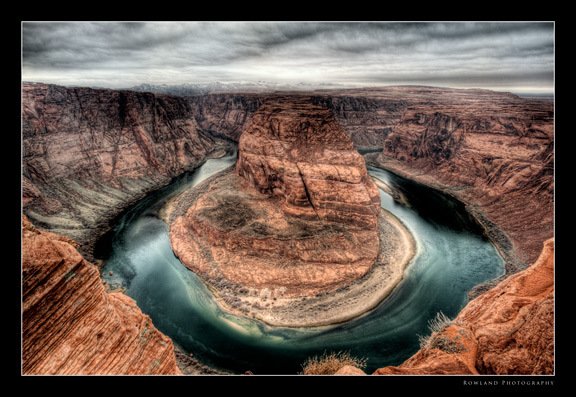 Getting up early, I drove to Horseshoe Bend just outside of Page. I’ve seen many pictures of the place and honestly wasn’t too impressed… until you actually go there and see the damn thing in real life. The mighty Colorado River has carved a big “U” in the middle of nowhere… and it’s just not any “U”, its a thousand foot drop from where you stand to the water line. And me being me, afraid of heights… well, a lot of deep breaths were going on, not to mention checking my tripod for sturdiness a half dozen times before affixing the camera to it. This is an HDR image of the Bend, blended in Photomatix Pro. Had to shoot with a 14-24 mm lens in order to capture the whole thing! 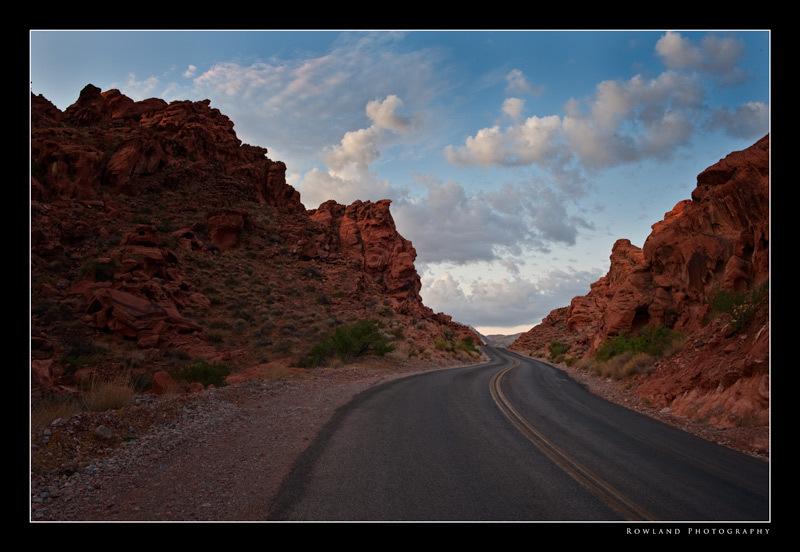 Another shot from the Valley of Fire about an hour north of Las Vegas. Saturated the already red rocks a tad bit more to bring out that incredible color… also liked this view of the mountains in the distance. Truly an incredible place to shoot… Happy Friday, and enjoy your weekend! Every city has an “impressive” view… New York has the top of the Empire State Building looking downtown, San Francisco has the Golden Gate Bridge from the Marin County side and Las Vegas has the Strip from the top of THEhotel. This was taken from the 64th floor Mix Lounge as the sun raced West. Shot with a 24-70mm, f2.8 for 6 seconds at f16. I wanted to blur the cars on I-15 and Las Vegas Boulevard. At this duration they become red and white streaks of light and make the roads a river of light (not that Vegas really needs more light, I cringe at the Light Pollution generated by this city, especially the Luxor’s Intergalactic laser Beam… but hey it’s Vegas, and it wouldn’t be Vegas without the lights). I actually shot for about an hour from this spot~ was neat sipping a bombay sapphire and tonic while watching this scene unfold, I sorta wished that there had been some low hanging clouds to add a bit more drama over the buildings, but I enjoyed the wash of color from the setting sun, and the myriad of colors from below. Vegas really does make an impressive sight at night… Enjoy! Another macro shot from the Neon Boneyard. The sun had begun to sink in the late day so the shadows began to grow a bit longer and more pronounced. It was intriguing to see these lights in perfect shape, disrupted by broken or missing ones scattered throughout the pattern. My photog buddy Ron is big on disruption in images 🙂 So when I saw this one, I drew inspiration from his comments and critiques of my prior postings. Just a quick snap, and only some tonal contrast applied in post. That was it (besides adding the black border via Kubota’s action set! )… a different perspective of these larger than life signs. One of my favorite moments is when the sun makes its appearance over the horizon. The beginning of a new day is heralded by those spreading rays of light- golden, and brilliant, albeit only for a few moments before it overpowers everything else and the light turns to mush. This was taken at Rainbow Vista in the Valley of Fire, thought it would be neat to capture that sunrise from this vantage point, with the desolate desert at my feet. Opened the aperture which allows for those “bursts” and rays of light to really be pronounced, and bracketed 5 frames to process this HDR image in post using Photomatix. I think sunrise and sunsets lend themselves to HDR very nicely, as they capture those details in the shadows- you just have to work it in post to reduce the “HDR-ness” of the image, make it more natural and reflect the scene as it was.